So you want to grow roses? They are a beautiful choice for your garden and not nearly as difficult to grow as you might think. 1. Choose a rose that is easy to grow. Some choices might be ˜Sunsprite”, ˜Baby Love”, ˜The Fairy”, ˜Iceberg”, or ˜Flower Carpet”. 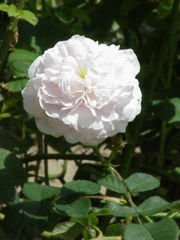 Also check to see which roses do well in your climate. When choosing a rose think about the colors and fragrance that appeals to you. 2. Understand the soil type and provide good drainage. Use organic matter to make your soil better for the roses. 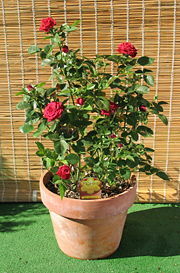 Plant your roses correctly and in the best place in your garden for the roses’ success. 3. Know how often to water and how much water to give the roses. Too much water is not good so develop a watering schedule and stick to it. 4. Understand how the different types of water systems work. You can choose from sprinklers, an underground watering system or a drip irrigation system. It is usually good to keep the water off the leaves if you live in an area where rose diseases are a problem. 5. Mulching keeps the water in and the weeds away. Mulching is a very good idea when growing roses. Mulch in the early spring when you remove the protective coverings from winter. If you live in a warmer climate spread the mulch just before the roses start to leaf out. 6. Learn the kinds of nutrients your roses need and follow a specific fertilizing program. When growing roses it is important to test the pH of your soil. If the pH is right the roots can interact with the enzymes and bacteria in the soil and do well with the natural nutrients and the ones you add. The pH can be between 5.6 and 7.2 however 6 to 6.5 is best. By testing the soil you will know which nutrients to add. 7. Learn how to prune your roses. Pruning keeps the roses healthy and looking good. 8. Prevent pest and disease problems before they happen. Learn how to control pests and choose safe pest control products. Growing roses is a delightful hobby and not nearly as complicated as you might have heard.